Should health and safety be on the CFO’s radar? 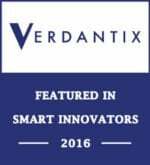 Last week the Health and Safety Executive published its annual statistics, which showed that in Britain between April 2011 and March 2012 the number of major injuries and injuries that kept employees off work for four or more days continued to fall, along with the number of cases of work-related ill-health. We must try to sustain this trend because a closer look at the figures makes for sobering reading. In 2011/12, there were 22,433 reported major injuries suffered by employees, such as amputations, fractures and burns. This is an improvement on 2010/11’s 24,944 and the 27,170 five year average. There were 88,731 other injuries serious enough to keep people off work for four or more days compared to 91,742 the previous year. The average for these types of injuries over the past five years is 103,627. All of these injuries are preventable with an effective safety management system, as being injured at work is never inevitable (unless you’re a cage fighter, perhaps). In economic terms, the Health and Safety Executive measured injury and ill-health as resulting in 27 million working days being lost, which is up slightly on 2010/11 when 26.4million working days were lost. Workplace injuries and ill-health cost society an estimated £13.4billion in 2011/12. These last figures in particular support something we at SHE Software have long thought to be true: the CFO (Chief Financial Officer) needs to take an active interest in the company’s health and safety management system. For any CFO tasked with saving or mitigating costs, true visibility into the state of health and safety within their organisation (available on a site-by-site basis with SHE risk management software) could prove extremely valuable. In supporting an efficient safety management system, there is a real opportunity for CFOs to realise notable savings by minimising risk of injury to staff and therefore exposure to damages and lost man hours. For mid- to long-term gains it’s hard to argue against the combined financial and cultural benefits of a safe work place compared to aggressive and demoralising cost cutting measures. Though the results do not immediately appear on the balance sheet, which is often a barrier to getting incident management software even on the CFO’s radar. As one reader commented on our blog a few weeks ago: “When your safety is running well the penny pinchers pop up and say, ‘Well we’re not really having any accidents, let’s cut safety’” and it’s true – a safety management system does represent a cost. Management staff responsible for safety at their organisation are faced with the constant challenge of demonstrating the business benefits of a health and safety management system to c-level executives, and they are often competing with projects from other departments with more tangible benefits. Yet it really is the preventative measures that save the largest amount of money in the long-term. 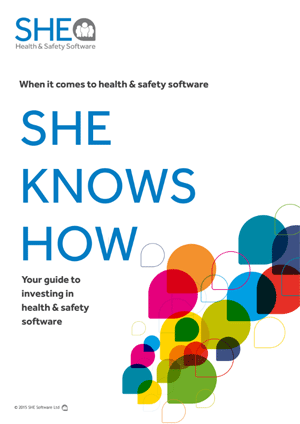 SHE Software have a range of tools and information to help make the business case for a safety management system and over the coming months we’ll be sharing them on this blog.